Mastermind Escape Games: Strengthen the lines of communication as you work together to solve puzzles, ultimately freeing yourselves from the room. Each room has a different theme and difficulty level. Whether you escape the room or not, you are sure to have a great time! Cork and Flame: Treat your partner to a truly unique dining experience at Cork and Flame. Enjoy what Cork and Flame calls Progressive American Cuisine cooked over one of their Argentinian grills. You can also select a bottle of wine from their 400+ selection. Reservations strongly recommended. AR Workshop: Create something you’ll be proud to display in your home. 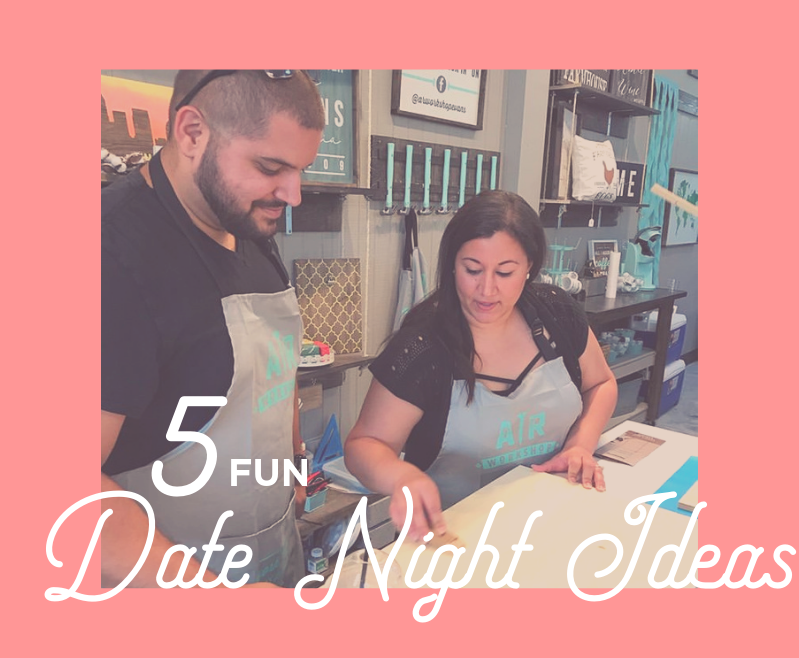 Join them for their Date Night Workshop on February 15th to work on a project together or sign up for any of their other workshops and each create your own work of art! Active Climbing: For the more adventurous couples or ones looking to try something different, head over to Active Climbing Indoor Rock Climbing and Ninja Center. Take the quick intro class to learn the basics, safety and belaying. Then you are free to explore the rock walls together. Make sure you hit the Bouldering and Ninja Warrior sections before you leave. All skill levels are welcome! Red Oak Manor: Spend a romantic night at Harlem’s quaint bed and breakfast. We recommend reserving the next day to explore the Harlem Java House, antique stores, boutiques and the Laurel and Hardy museum in historic Downtown Harlem.